Ashraf started his career in public relations as an intern with Impact Porter Novelli (Dubai) and worked on expanding his horizons swiftly to become part of Edelman Digital (Dubai) and has grown his experience in various practices within Edelman. In his short time with Edelman, Ashraf has participated in various events that took place in Dubai and Abu Dhabi in digital field. At a later stage he joined Apco Worldwide and worked on a special in-house project for a the Government of Dubai - United Arab Emirates (UAE).He has strong command and understanding for various social media platforms and client servicing. Ashraf has had over 6 years of work experiences in sales, customer service, management, and product coordination, enhancing his communication skills and gaining him experience in dealing with people on professional and personal levels. In addition, he has lead various successful social media campaigns on different social media channels and has successfully initiated great content development for multiple clients. A communication art graduate (emphasis on journalist), Ashraf graduated from the American University of Science and Technology in 2012 (Beirut). Ashraf is pursuing his Master's degree in the Netherlands at University of Amsterdam in New Media & Digital Culture as of August 2015 and is looking for internships or part-time job opportunities to further enhance his experience. Facebook Notes has been long forgotten over the years as the company’s main focus was to distinguish the platform from other what seemed similar ones in the past days. Today the company (Facebook) seems to have grasped the importance of extended content and information sharing concept by giving the notes section a face-lift. LinkedIn was mindful of the data and information sharing concept and rolled out on January 7th, 2015 the note feature for all users in English speaking countries [howtomakemyblog] and later during the year this feature was rolled out globally. But what predominated both giant companies was Medium a new blog founded by Twitter founders Ev Williams and Biz Stone in 2012 [Halliday, The Guardian] which aimed to get people to further interact with each other, share their views, opinions, exchange information and simply blog. Although Facebook made drastic changes to its “Status Update” a key feature in the platform, there was still a gap and users were not yet accustomed to long posts or “Facebook Blogging”. 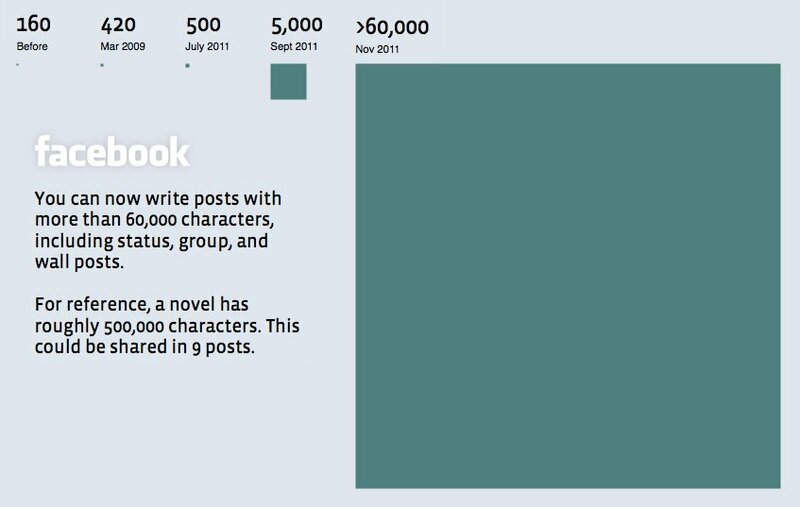 The below graph which was rolled out by Facebook showcases their attempts to catch-up with the blogging era back when some regions in the world were undergoing major changes in their systems and blogging started picking up again. Back in 2011, blogging was used to expose regimes, tell personal stories, happenings and events taking place domestically which caught the attention of mainstream media and picked up again to reach 400 million blogs worldwide[Jassies]. Despite of the on going efforts from Facebook to enhance Notes in 2010 as it previously only supported text formatting through HTML [Van Grove, Mashable], a new look was introduced with minor new features, but all this was not enough to push users to blog more. Currently the new update for Notes is being rolled out to selected users by Facebook and the reviews seem to be divided into several groups. From the first glace the new face-lift looks very neat with very minimal distractions. As seen in John Biensnecker blog who is one of the users selected to test the new feature, the blog post is Ads free, the image is wider than an ordinary status update and the comments on that post were mostly positive. But this feature not only aims to increase the content and information being shared on the platform but further give space for companies to address their customers especially teenagers. “It’s actually getting very popular with teenagers again, who are going through that whole journaling move.” 451 Research analyst Alan Pelz-Sharpe tells Brain Barret from wire.com [Barret 2015, wire.com]. Taking into consideration the companies needs to address specific topics and target specific audience, Facebook is now on the verge of launching this new update which might create a new era in blogging. Users will start spending more time on their timefeed and share more information and preferences which Facebook will have access to and therefore enhance their Ads targeting tools further. Furthermore, the new update will still enable users to share their “Notes” with selected friends, all their friends, publicly and the “Only Me” option too. 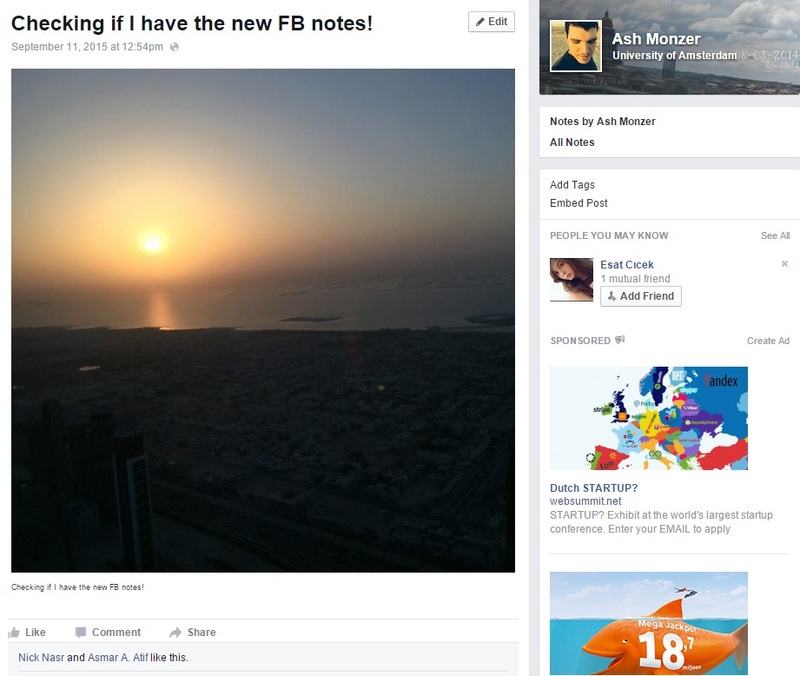 The question that might be circulating in the air is will companies be able to use Facebook Ads on their Notes? And will companies pages be able to tag individuals (unlike the current status)? This new update promises to have great impact on the blogging experience, however there are other voices echoing in the skies of Mari Smith after posting on her own Facebook page about the update where users are not every excited about it. For bloggers who use WordPress, Blogger, Medium or even their own website and utilize their social media platforms to drive traffic to their own websites/blogs it seems very inconvenient. Services and product driven businesses which would rather link back to their websites via a blog post about a specific service or business might find this new update inconvenient as it drives less traffic to their websites and keeps users on Facebook. Time only will tell if this new feature is capable of changing the face of blogging from the usual blog hosts (the likes of WordPress, Blogger, Wix…) to a new era of social media blogging where everything is interconnected to your own profile. Blogging has profoundly influenced not only the nature of the internet today, but also the nature of modern communication, despite being a genre invented less than a decade ago [ Jill W. Rettberg] and today social media platforms are trying to embed this feature in their platforms to gain further power. Saric, Marko. 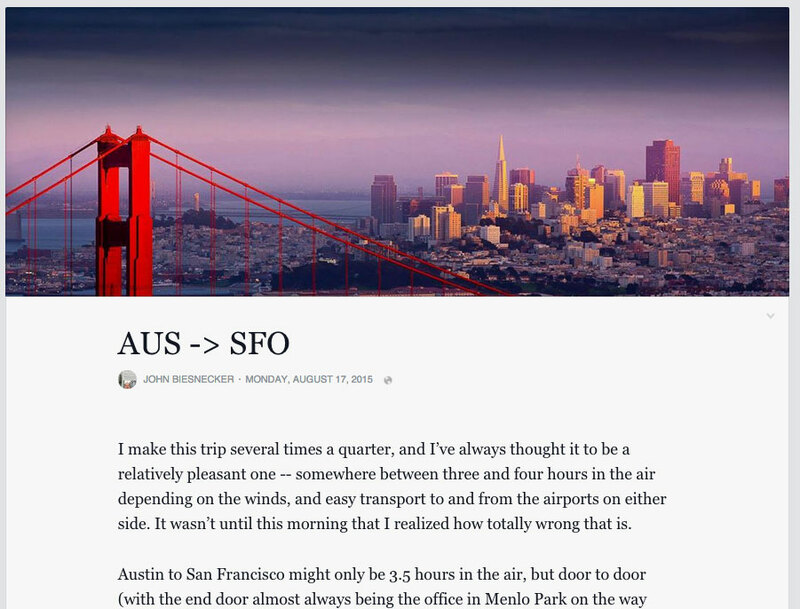 “How I Got My Post Featured On LinkedIn’s Publishing Platform.” How To Make My Blog. N.p., n.d. Web. 11 Sept. 2015. Halliday, Josh. 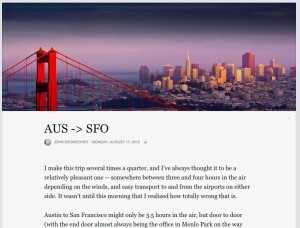 “Twitter Founders Launch Two New Websites, Medium and Branch.” The Guardian 15 Aug. 2012. The Guardian. Web. 11 Sept. 2015. Jassies, Kirsten. “The Future of Blogging OR the Future of Personal Storytelling Online.” 04 Oct 2015. Barrett, Brian. “Remember Facebook Notes? It’s Back With a Vengeance.” WIRED. N.p., 17 Aug. 2015. Web. 11 Sept. 2015. Van Grove, Jennifer. “Facebook Refreshes Notes Application.” Mashable. N.p., n.d. Web. 11 Sept. 2015. « Mobile Ad Blocking: Publisher’s New Nightmare? What can we learn from a Facebook clone?